Finally, a decent offer for existing customers. Makes it even better with the cashback. TV you love in different rooms at the same time – keeping the whole family happy. Plus, get a free LG 32” TV when you upgrade to Sky Multiscreen. For a limited time and only available online. I did this the last time the offer was on. Went through the whole process, picked a date and time for an engineer to come and fit a second box, got an order number etc and then they claimed no order existed and that the offer was now over. Complete shambles. Not sure how I could have an order number (screen print from website at the time, and confirmation email) and then be told it did not exist. A nice deal for existing customers (finally! ), terms do say a minimum 12month contract applies to the multiroom and it states the price may increase during the term. 90 days for delivery so no chance of a sneaky freebie Christmas present, damn heat. I recently cancelled with them (30 days notice), hoping for some better deal, then waited for my "sorry you're leaving" email and clicked the link to start a web chat. Just looked at doing this... catch... set up box and installation.. £109.. even though I'm already a customer!!! sorry cold from me!! I cancelled my package last month and they rang the other day, gave me the full package, sports, hd etc 39 a month and 50 quid credit. No contract either. Wouldn't give me the tv though. Dumb question time (!) - what's happens to your multiroom service if you cancel the multi room subscription after 12 months. Does the box effectively stop working, or does it still transmit a signal between two rooms, but you dont get the ability to record / watch different things simultaneoulsy (so effectively does it become a magic eyc)? Dumb question time (!) - what's happens to your multiroom service if you … Dumb question time (!) - what's happens to your multiroom service if you cancel the multi room subscription after 12 months. Does the box effectively stop working, or does it still transmit a signal between two rooms, but you dont get the ability to record / watch different things simultaneoulsy (so effectively does it become a magic eyc)? You can effectively use it as a freeview box. Cancelled box because an FTA box. No pay TV. No recording facility. FTA sat box, if you please. Freeview is a terrestrial platform. Standard multi room box does not record. Just looked at doing this... catch... set up box and installation.. … Just looked at doing this... catch... set up box and installation.. £109.. even though I'm already a customer!!! sorry cold from me!! Is it with tying into a contract when Q is coming tho? Anyone know what that is going to cost? i'll admit that 720p is a let down, but I dont need full hd on a second TV, the 55" in the living room is for "proper" viewing. it could of done with some smart tv features though. You will not notice the difference of 1080p on a 32" TV. Anyone have a link to the TV Spec? I know it is a 32LF510 but can't find it not even on LG website? Anyone have a link to the TV Spec? I know it is a 32LF510 but can't find … Anyone have a link to the TV Spec? I know it is a 32LF510 but can't find it not even on LG website? what happens if you take this and you already have a offer from them for 50% off package price... Doesn't effect the package discount does it? what happens if you take this and you already have a offer from them for … what happens if you take this and you already have a offer from them for 50% off package price... Doesn't effect the package discount does it? Great find. Ordered this. Free tv, yippee thanks op. 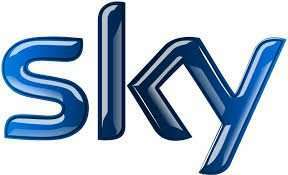 There's a new sky multiroom / wireless / cloud type solution coming next year apparently so Im not rushing in. Can I ask how you get this using Topcashback as the offer page does not seem to open if you go through the topcashback multiscreen link? Can I ask how you get this using Topcashback as the offer page does not … Can I ask how you get this using Topcashback as the offer page does not seem to open if you go through the topcashback multiscreen link? Seems if you'd like to record TV on your second box, then you either pay £199 + £60 installation for a standard Sky+HD box or £49 + £60 installation for the 2 TB box with their discount for HD subscribers. Simply put, to record, expect to pay an up-front of at least £109 on this deal. does anyone know if the tv can be wall mounted? Ordered - nice find - Cheaper than getting Now TV sports for second tv. ​Really? Already got 60% offer so that means I wont get this? My friend was telling me she got this deal, but I don't think its for all customers, as Sky are only offering me the deal for £11.25 a month, £49 installation, and no free TV..... thanks but no thanks! I got this deal. Placed order on 10th Dec, engineer installed 22nd Dec (prob took longer due to Xmas) and TV arrived 31st Dec. I did not have to claim via website as appears when placing the order it automatically claims. I was not told that the TV was despatched by email or text but instead found out my logging onto the Rewards section of website. A link appeared which showed that TV was out for delivery that day and that I was drop 52. You can track what drop the driver is currently at and it provides an ETA for your delivery. There is the option to get a text when you are the next drop. I tried this but never got the text. The TV is OK but for us it was only intended as a bedroom TV and not a main living room TV. Its not high spec but it serves a purpose and we are pleased with it. I got this before Christmas. TV turned up a couple of days after placing the order, and engineer came out a few days later. perfect TV for the bedroom. Just wanted to give everyone a heads up - I took this offer up and now Sky are saying that it's not going to fulfil the offer as it was through a 3rd party (voucher.com?) not themselves. They have offered to cancel the order and are calling back in Monday. I'm a bit peeved as I followed everything and the installation went ahead ( £60 fee) just no tv turned up. Someone from sky is going to listen to the convo I had but I have been told that it won't make any difference as they never personally had the offer - I'm probably a bit thick but I'm sure it was through them.